Rarity du jour! 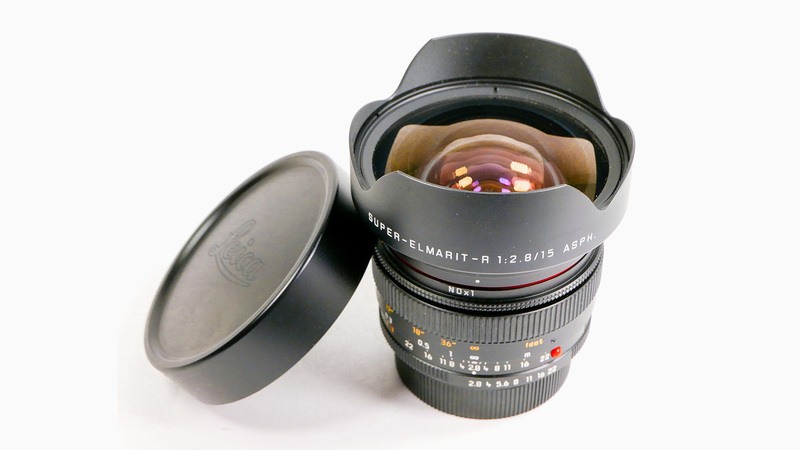 The 15mm Super-Elmarit-R f2,8 – Leica Camera’s widest production lens – was made in small numbers between 2002-2009. Collectors and shooters alike know how hard it is to find one of these magnificent “Aspherical” lenses. This was one of Leica’s first “FLE” (floating lens element) lenses, and definitely the rarest. By most accounts only 420 were produced! Exceedingly rare. See more at our November 17 Rare Camera Auction!